Good evening to you, how was your weekend? Mine was lovely, full of my favourite things such as catching up with family, breakfast with my Mr at a local cafe/restaurant, church and a trip to the library. Also, lots of summer holiday planning which is very exciting! I’ve also been playing around with instagram (you can follow me at celebratecreation) a lot this weekend. I’ve been trying to become better at recording everyday life and have a new folder on my phone called ‘the everyday but special’ to try and capture it so that the little things don’t pass me by. I find that since everything’s gone digital, I still take photos but don’t actually go and get them developed anymore. Crazy. I’m hoping stickygram will soon sort that out. 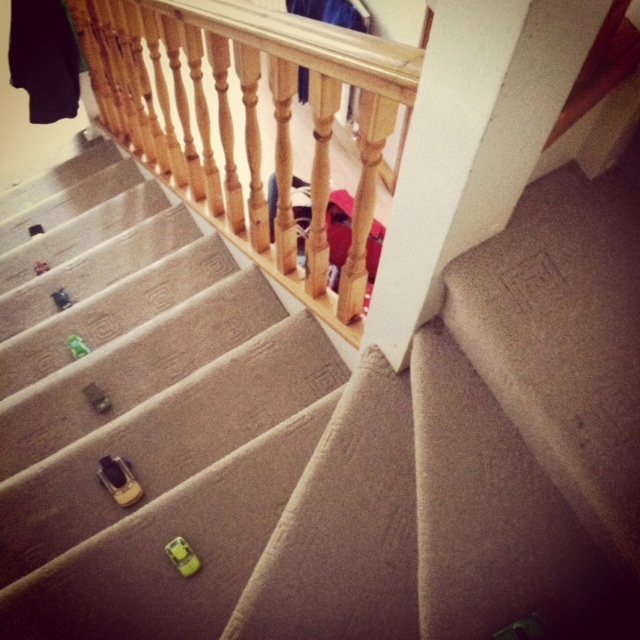 My nephew’s cars. So sweet. What pictures sum up your everyday?